ur letters so it sounds almost absurd to worry about how to teach it to our children. Yet, the ABCs are the building blocks of language. In order to become literate, our children must be able to recognize each letter, both in order and out of order, as well as the sounds connected with that letter. Once armed with that knowledge, then a child is well on the road to reading and literacy. 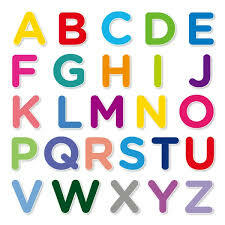 Learning the alphabet should begin early in a child’s life. While some children do not learn their letters until they start school this is not recommended. In fact, children should be well on their way to alphabet mastery before preschool age and should certainly be at least introduced to the letters before the age of 3. Start simple. Do not attempt to teach all 26 letters at once. Simply concentrate on a few letters at a time and allow your child to see, hear, and experience that letter in a variety of ways. Remember that children learn by utilizing their senses so while alphabet books can be a helpful learning tool you should utilize a number of approaches to teach the ABCs. Buy or make letters that children can experience in 3-D and let the child construct letters as well using play dough. Alphabet coloring pages and crafts can also help reinforce your child’s knowledge of letters.